Dissolve Tech paper hand towels are resistant and dissolvable. 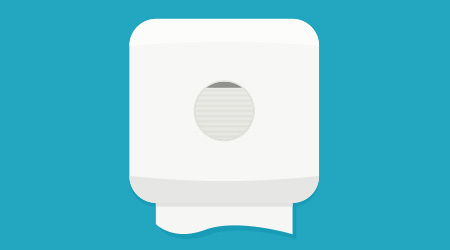 During use, the product acts like a normal paper hand towel with the same wet strength and absorbency. However, once used, if it is disposed of in the toilet system, the towel will dissolve with no risks of clogging, just like regular toilet paper.